Guitar Gear | Real. Guitar. I’m a cradle Catholic, so Catholicism – and its associated dogma – are a large part of my life. But while I fully accept and believe in my religious dogma (for instance, Jesus is the Son of God and there is only one God), what I have always had a problem with is how that dogma has often gotten translated into rigidity in the practice of said dogma, or used as a way to demean, destroy and take advantage of others who either may not be aware or fully versed in the knowledge of the dogma. So what does this have to do with guitar gear? A modeling or solid state amp could never be as good as a tube amp. You pay more for a piece of gear because it’s better. Gibsons and Fenders and other brands have a signature sound. People say this stuff all the time. And they believe it so fully that they become demeaning and dismissive of anyone who may disagree with them. The way these people interact with others is with something akin to religious zealotry. The problem with rigidity or fundamentalism in general is that it prevents people from seeing or even accepting; much less tolerate, alternative viewpoints. And from the perspective of gear, there’s so much fantastic gear out there that often gets overlooked because people can’t see past their personal dogma. I’m writing this because I too can be accused of having been dogmatic. But especially since I’ve been writing this blog, I’ve had to be much more open to the different ways people approach gear. For instance, I used to be of the belief that I had to have a big pedal board with lots of effects to create great sound. As a result, I have lots and lots of pedals, especially overdrive pedals. Now, I just use three, maybe four pedals to get my sound. Admittedly, part of that is that I’m older and don’t want to lug around a lot of gear, but a large part of it is that I’ve found my sound, and only need a few pedals to enhance my sound as opposed to define my sound. But I also know that others will differ with my approach. I have a friend who plays with no pedals whatsoever. He plugs directly into a 50 Watt Marshal Plexi and lets his fingers do the talking. On the other hand, I have another friend who has 20 pedals on his board and stacks overdrives and distortion boxes and has three different delays. Look, we all have our personal truths, and they’re all valid. For me, I have a very “you do you, I’ll do me” attitude about gear. Where I have a problem is when those truths are used to exalt over others. I’m a firm believer in ecumenicism – there are many paths to God. So too with gear. There are many ways to make music. I have to admit that I haven’t been too impressed with Fender’s offerings for quite awhile. I have three Strats and a Tele, but I haven’t seen anything coming out of Fender that got me really excited; that is, until now. When I checked my email this morning, I saw one from Fender entitled, “Alternate Reality | The Powercaster.” At first, I rolled my eyes, but when I went to read the email, I was immediately intrigued by the body shape. I thought that it looked like a Jazzmaster or Jaguar. Then on closer inspection of the picture, I saw that it has a P90 in the neck and a humbucker in the bridge. The very first thing that came to my mind was: Rock Machine. So I decided to take a closer look. So I went to the Powercaster product page. Maybe I shouldn’t have because now I want one of these! One of the first things I noticed was the scale length and neck radius. Look familiar? It should because those are Les Paul neck specs. When I saw the scale length, I started salivating because the feel would be like a Les Paul. And being a Les Paul guy, I imagined that I would be right at home with this guitar. After reviewing the Powercaster site, I went to the forums and gear blogs to see what others thought. The reviews were mixed. One person didn’t like the Tune-O-Matic style bridge (I actually would’ve preferred a more modern bridge like a Gotoh 510). Another didn’t like the thought that Powercaster didn’t have a “Fender” sound based on demos he saw. Another didn’t like the Gibson scale length. Others like me, love the features. But the person who didn’t like the scale length also brought up a couple of valid points. First, they didn’t quite know who the target consumer of this guitar would be. He also pointed out that considering the price and where it’s made, the price point sits just below American-made prices. These are very valid points that I’m sure will need to be sussed out a bit more. 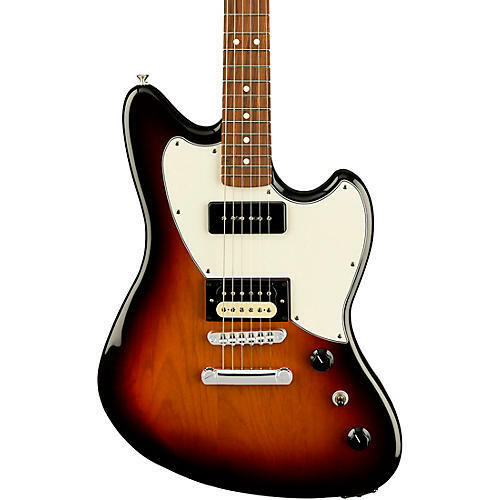 Personally, I think that this guitar is aimed at someone like me who doesn’t have a dogmatic perspective of brands; for instance, if something is branded Fender, then it has to have a Fender sound – whatever that is. I tend to judge gear based on their own merits, and I LOVE that P90/Humbucker combination! I also love that roasted maple neck because dry wood is very resonant. And as far as the price is concerned, while it’s about $150 more than other MIM guitars, I don’t think it’s really all that out of line. Of course, while I’m excited by the features and possibilities this guitar has on offer, I need to get my hands on one and play it. But it sure shows a LOT of promise! As with anything we learn over time, playing guitar is a journey replete with ups and downs, feasts and famines, motivations and let-downs. It’s a never-ending, circuitous path that always guarantees that there’s something else around the next bend to discover and explore. As guitarists, we’re seekers. We’re explorers. We’re trailblazers into a wilderness that is simultaneously both familiar and new; familiar in the sense that we can see the paths that others have taken, and new in that while we may tread the same ground as others, the tracks we make are ours and ours alone. There is no wrong journey. Some journeys have several stops along the way. Some go at a snail’s pace. Others, like my own, meander all over the landscape. Others take a straight path and reach higher and higher pinnacles of skill and technique quickly. But no way is better than the other. Along the way, we may pick up things from other sojourners. But we make the choices in how to apply and use those things in our own journey. The gear we use is also a reflection of the nature of our journey. Some travel light with only a single guitar. Others need a wagon or large transport to get them along. Others use the latest in high-tech gadgetry while others go unplugged. And still, it’s all good, no way is better. And the nature of our journey will change over time. Sometimes, we may just need a guitar and an amp and perhaps one or two pedals if any. There will be times when we’ll be lugging a stack and two full-size pedalboards and three backup guitars. At other times, we may go digital or may go completely analog. And still, it’s all good, no way is better. Along with our journey, we may experience doubt about our equipment. We can see what others have and wonder if our own equipment is good enough. Furthermore, we will encounter people on our journey who are passionate about the right way to travel. They’ll tell us to follow their path and to provision ourselves with the same things they’ve provisioned for themselves. Sometimes it’ll make sense. Other times it won’t. Just remember that those who give out the free advice are speaking from what they see through the lens of their own experience. We have to live with our own choices and the choices others have made well, they have to own. As the dude said: Remember, no matter where you go, there you are… In other words, if we translate that to our own journey, wherever we’re at, we have what we have, we know what we know, we play what we play. And the cool thing with that is that what we have, know or play can be in flux depending on wherever we’re at. Chew on that for a bit! 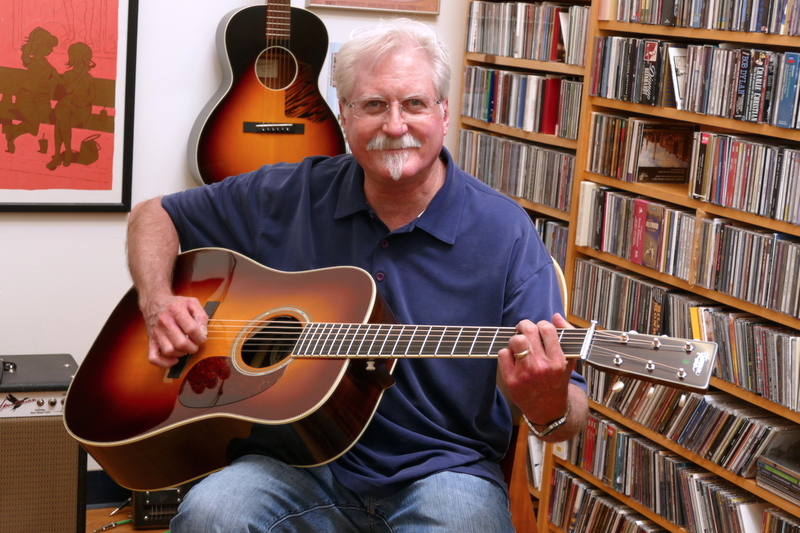 You see, the journey of playing and learning guitar is intensely personal. Even if your primary motivation is to emulate a guitar hero or someone whom you idolize, you still have to make your own choices and YOU have to be the one who learns. It’s fine to seek advice and mentorship from others; in fact, I’d say that one of the beauties of being on a guitar journey is that there is a large, global community with which to interact and from which to learn.